LA FOLLETTE, Robert Marion, (father of Robert Marion La Follette, Jr.), a Representative and a Senator from Wisconsin; born in Primrose, Dane County, Wis., June 14, 1855; graduated from the University of Wisconsin at Madison in 1879; studied law; admitted to the bar in 1880 and commenced practice in Madison, Wis.; district attorney of Dane County 1880-1884; elected as a Republican to the Forty-ninth, Fiftieth, and Fifty-first Congresses (March 4, 1885-March 3, 1891); unsuccessful candidate for reelection in 1890 to the Fifty-second Congress; chairman, Committee on Expenditures in the Department of Agriculture (Fifty-first Congress); resumed the practice of law in Madison, Wis.; Governor of Wisconsin 1901-1906, when he resigned, having previously been elected Senator; elected as a Republican to the United States Senate on January 25, 1905, for the term beginning March 4, 1905, but did not assume these duties until later, preferring to continue as Governor; reelected in 1911, 1916, and 1922, and served from January 4, 1906, until his death; chairman, Committee on the Census (Sixty-first and Sixty-second Congress), Committee on Corporations Organized in the District of Columbia (Sixty-third through Sixty-fifth Congresses), Committee on Manufactures (Sixty-sixth through Sixty-eighth Congresses); one of the founders of the National Progressive Republican League; unsuccessfully sought the Republican nomination for president in 1912 and 1916; nominated as the Progressive Party candidate for president in 1924, winning 13 electoral college votes; died in Washington, D.C., June 18, 1925; interment in Forest Hill Cemetery, Madison, Wis.
Papers: In American Association for Labor Legislation records, 1905-1940, available on microfilm; and Amalgamated Clothing Workers of America minutes, 1919-1966 (bulk 1919-1932). Papers: 1924. 3 boxes. Campaign literature for presidential campaign including fund-raising form letters, press releases, and campaign textbooks. Papers: 1 letter (October 10, 1889) in Post family papers, 1857-1895. Papers: Ca. 105,500 items in La Follette family papers, 1844-1953 (bulk 1910-1953). 600 linear feet. Includes letters sent and received, draft and printed speeches and articles, holograph notes, legal material, reports, statements, deeds, mortgages, newspaper clippings, congressional bills and hearings, pamphlets, monographs, printed material, and photographs. Family letters contain substantial information about political as well as personal affairs. Other major topics include La Follette's Weekly Magazine and its successor The Progressive, election of 1912, Seamen's Act of 1915, regulation of railroads, tariff schedules, conservation, foreign relations, public lands, woman suffrage, Teapot Dome investigation, Senate investigation of La Follette's antiwar stand, presidential campaign of 1924, civil rights, immigration, and various progressive and reform movements. Finding aid. Available on microfilm. Also 161 reels of microfilm of originals, 1876-1924, in State Historical Society of Wisconsin. Papers: Correspondence in Martin O. Thompson papers, 1906-1948. Finding aid. Papers: In George A. Clark fur seal controversy papers, 1897-1918; John Downey Works papers, 1906-1928; and Meyer Lissner papers, 1903-1923 (bulk 1910-1920). Papers: 5 letters (1897, 1904-1911) in William Larrabee papers. Papers: 1879-1910 (bulk 1900-1910). 35 volumes, 177 boxes, and 1 cubic foot. Chiefly correspondence (1900-1910) relating to Wisconsin politics and the Progressive movement, together with speeches, writings, legislative reports, briefs, and financial records. Available on 161 microfilm reels. Finding aid. Additional Papers: Correspondence in Herman Lewis Ekern papers, 1888-1944; Edwin J. Gross papers, 1902-1944; Craig Ralston papers, 1923-1952; Lawrence C. Whittet papers, 1840-1954; John C. Spooner papers, 1868-1919; William D. Connor scrapbooks, 1904-1924 (1 microfilm reel); Morris Hillquit papers, 1895-1943; Herbert F. Margulies papers; W.D. Hoard papers, 1880-1918; Frederick E. Risser papers, 1925-1971; Gwyneth King Roe papers, 1880-1968; Harry Sauthoff papers, 1919-1929; Richard T. Ely papers, 1812-1963; John Rogers Commons papers, 1859-1967; Albert G. Zimmerman papers, 1850-1935; governor's bills regulating life insurance records, 1906; The Progressive, Inc. records, 1940-1985; Philip Fox La Follette papers, 1876-1973; Ada L. James papers, 1816-1952; William Theodore Evjue papers, 1905-1969; Albert O. Barton papers, 1858-1948; E.H. Faulkner letters, 1900-1911; Meta Berger papers, 1915-1945; and Charles H. Crownhart family papers, 1853-1943. Papers: Correspondence in Edward P. Costigan papers, ca. 1900-1930s. Papers: Correspondence in John Skelton Williams papers, 1884-1926. Finding aid. Papers: In William Kent family papers, 1768-1961; Harry Weinberger papers, 1915-1942; National American Woman Suffrage Association records, 1839-1961 (bulk 1890-1930) (available on microfilm); George Sylvester Viereck papers, 1924-1938; and Clark family papers, 1673-1918. Research Libraries Information Network In addition to the institutions listed above, items are also cataloged in collections at: Franklin D. Roosevelt Library, Hyde Park, NY; Harvard Business School, Baker Library, Boston, MA; Indiana State Library, Indianapolis, IN; North Dakota State University Libraries, Fargo, ND; Radcliffe College, Schlesinger Library, Cambridge, MA; University of Illinois at Urbana-Champaign, IL; University of Oklahoma, Western History Collections, Norman, OK; University of Oregon Library, Eugene, OR; and University of Pennsylvania, Philadelphia, PA.
Amchan, Arthur J. The Kaiser's Senator: Robert M. La Folette's Alleged Disloyalty During World War I. Alexandria, VA: Amchan Publications, 1994. Barton, Albert Olaus. La Follette's Winning of Wisconsin. Madison: n.p., 1922. 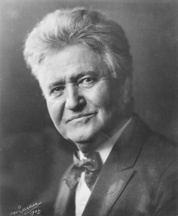 Burgchardt, Carl R. Robert M. La Follette, Sr.: The Voice of Conscience. New York: Greenwood Press, 1991.
Cooper, John Milton, Jr. "Robert M. La Follette: Political Prophet." Wisconsin Magazine of History 69 (Winter 1985-1986): 91-105. Doan, Edward N. The La Follettes and theWisconsin Idea. New York: Rinehart, 1947. Drake, Richard. The Education of an Anti-Imperialist: Robert La Follette and U.S. Expansion. Madison: University of Wisconsin Press, 2013. Gianneschi, Harry Ronald. "An Ideological Analysis of the Senate Wartime Addresses of Robert Marion La Follette." Ph.D. dissertation, Bowling Green State University, 1975. Greenbaum, Fred. Robert Marion La Follette. Boston: Twayne Publishers, 1975. Ham, F. Gerald, ed. Papers of Robert M. La Follette at the State Historical Society of Wisconsin. Alexandria, VA: Chadwyck-Healey, 1972. Microfilm. 161 reels and guide. Havig, Alan R. "A Disputed Legacy: Roosevelt Progressives and the La Follette Campaign in 1924." Mid-America 53 (January 1971): 44-64. Hesseltine, William B. "Robert Marion La Follette and the Principles of Americanism." Wisconsin Magazine of History 31 (March 1948): 261-67. Johnson, John J.L. "A Rhetorical Analysis of Robert Marion La Follette as a Social Movement Leader and Presidential Aspirant, 1897-1924." Ph.D. dissertation, Wayne State University, 1989. Johnston, Scott D. "Robert La Follette and the Socialists: Aspects of the 1924 Presidential Campaign Re-examined." Social Science 50 (Spring 1975): 69-77. Kennedy, Padraic Colum. "La Follette and the Russians." Mid-America 53 (July 1971): 190-208. ___. "La Follette's Foreign Policy: From Imperialism to Anti-Imperialism." Wisconsin Magazine of History 46 (Summer 1963): 287-93. ___. "La Follette's Imperialist Flirtation." Pacific Historical Review 29 (May 1960): 131-44. ___. "Lenroot, La Follette and the Campaign of 1906." Wisconsin Magazine of History 42 (Spring 1959): 163-74. Kent, Alan Edmond. "Portrait in Isolationism: The La Follettes and Foreign Policy." Ph.D. dissertation, University of Wisconsin, Madison, 1957. La Follette, Belle C., and Fola La Follette. Robert M. La Follette. 2 vols. New York: Macmillan, 1953. La Follette, Robert M. La Follette's Autobiography: A Personal Narrative of Political Experiences. 1913. Reprint. Madison: University of Wisconsin Press, 1960. Lahman, Carroll Pollock. "Robert Marion La Follette as Public Speaker and Political Leader, 1855-1905." Ph.D. dissertation, University of Wisconsin, Madison, 1940. Loew, Patty. "Natives, Newspapers, and 'Fighting Bob': Wisconsin Chippewa in the 'Unprogressive' Era." Journalism History 23 (Winter 1997-1998): 149-158. Lovejoy, Allen Fraser. La Follette and the Establishment of the Direct Primary in Wisconsin, 1890-1904. New Haven: Yale University Press, 1941. Madison, Charles A. "Robert M. La Follette: The Radical in Politics." In American Radicals: Some Problems and Personalities, edited by Harvey Goldberg, pp. 91-110. New York: Monthly Review Press, 1957. Manning, Eugene A. "Old Bob La Follette: Champion of the People." Ph.D. dissertation, University of Wisconsin, 1966. Margulies, Herbert F. "The La Follette-Philipp Alliance of 1918." Wisconsin Magazine of History 38 (Summer 1955): 248-49. ___. "La Follette, Roosevelt and the Republican Presidential Nomination of 1912." Mid-America 58 (January 1976): 54-76. ___. "Robert M. La Follette Goes to the Senate, 1905." Wisconsin Magazine of History 59 (Spring 1976): 214-25. Maxwell, Robert S. "La Follette and the Election of 1900: A Half-Century Reappraisal." Wisconsin Magazine of History 35 (Autumn 1951): 23-29, 68-71. ___. La Follette and the Rise of the Progressives in Wisconsin. 1956. Reprint. New York: Russell & Russell, 1973. ___, ed. La Follette. Englewood Cliffs, NJ: Prentice Hall, 1969. Meyer, Karl Ernest. "The Politics of Loyalty: From La Follette to McCarthy in Wisconsin, 1918-1952." Ph.D. dissertation, Princeton University, 1956. Myers, R. David. "Robert M. La Follette." In The American Radical, edited by Mari Jo Buhle, Paul Buhle, and Harvey J. Kaye, pp. 159-66. New York: Routledge, 1994. Sanford, Harold E. "The Political Liberalism of Robert Marion La Follette." Ph.D. dissertation, Boston College, 1938. Sayre, Wallace Stanley. "Robert M. La Follette, a Study in Political Methods." Ph.D. dissertation, New York University, 1930. Stirn, Ernest William. An Annotated Bibliography of Robert M. La Follette, the Man and His Work. Chicago: University of Chicago Press, 1937. Sutton, Walter A. "Bryan, La Follette, Norris: Three Mid-Western Politicians." Journal of the West 8 (October 1969): 613-30. Thelan, David P. The Early Life of Robert M. La Follette, 1855-1884. Chicago: Loyola University Press, 1966. ___. Robert M. La Follette and the Insurgent Spirit. Boston: Little, Brown, 1976. ___. "Robert La Follette's Leadership, 1891-1896: The Old and New Politics and the Dilemma of the Progressive Politician." Pacific Northwest Quarterly 62 (July 1971): 97-109. Tingley, Ralph R. "Podium Politics in Sioux Falls, 1924: Dawes versus La Follette." South Dakota History 10 (Spring 1980): 119-32. Torelle, Ellen, comp. The Political Philosophy of Robert M. La Follette as Revealed in His Speeches and Writings. 1920. Reprint. Westport, CT: Hyperion Press, 1975. Unger, Nancy C. "'I Went to Learn': Meanings of the European Tour of Senator Robert M. La Follette, 1923." Mid-America 84 (Winter/Summer/Fall 2002): 5-25. ___. "The Burden of a Great Name: Robert M. LaFollette, Jr." Psychohistory Review 23 (Winter 1995): 167-91. ___. Fighting Bob La Follette: The Righteous Reformer. Chapel Hill: University of North Carolina Press, 2000. ___. "'I Went To Learn': Meanings of the European Tour of Senator Robert M. La Follette, 1923." Mid-America 84:1-3 (2002): 5-25. ___. "The 'Political Suicide' of Robert M. La Follette: Public Disaster, Private Catharsis." Psychohistory Review 21 (Winter 1993): 197-220. ___. "The Righteous Reformer: A Life History of Robert Marion La Follette, Sr., 1855-1925." Ph.D. dissertation, University of Southern California, 1985. U.S. Congress. Robert M. La Follette. 69th Cong., 1925-1927. Washington: Government Printing Office, 1927. Weisberger, Bernard A. The La Follettes of Wisconsin: Love and Politics in Progressive Ameria. Madison: University of Wisconsin Press, 1994.